This article is part of a series on the role of civil society organisations (CSOs), which will be the focus of International Civil Society Week (ICSW), sponsored by CIVICUS, and scheduled to take place in Belgrade, April 8-12. UNITED NATIONS, Apr 8 2019 (IPS) - As it paves a destructive path against international institutions and multilateralism, the Trump administration is slowly but steadily undermining the United Nations and its affiliated agencies. So, is the revocation of the visa a violation of the 1947 US- UN headquarters agreement? Or has the US a right to impose proposed sanctions on ICC judges when it is not even a member of the ICC? And is the revocation of the visa the shape of things to come, with political leaders from countries such as Iran, Venezuela and Cuba– blacklisted by the Trump administration– being refused admission when they are due in New York next September for the annual General Assembly sessions? The protests against the US decision have come from several CSOs, including the American Civil Liberties Union (ACLU), the International Commission of Jurists (ICJ), the International Service for Human Rights (ISHR) and the World Federalist Movement- Institute for Global Policy (WFM/IGP). The letter from the three non-governmental organizations (NGOs) states “the purpose of the visa restrictions is to block and deter legitimate criminal investigation into serious crimes under international law”. Dr. Tawanda Hondora, Executive Director of WFM-IGP, told IPS the Trump administration has been consistent in its reckless application of retrogressive policies that undermine a rules-based international order. He said its policies are seriously damaging the post-WWII system of international law and practice, and have exponentially increased the risk of armed conflict in a world in which many more states now possess weapons of mass destruction. “The revocation by the US of Fatou Bensouda’s visa violates Article IV of the UN-US headquarters agreement”. There is no question that the US is applying its immigration laws with the objective of improperly influencing the ICC Prosecutor’s investigations into crimes committed by all parties to the conflict in Afghanistan, he argued. “It is wholly unacceptable that this administration is using Bensouda’s personal situation to coerce her to breach her mandate under the Rome Statute and to the UN Security Council,” he declared. Dr Martin S. Edwards, Associate Professor of Diplomacy and International Relations at Seton Hall University in the US, told IPS both civil society and other countries are right to be critical here. “I would hope that this is solely intended to make life difficult for Bensouda and not part of a more general trend of denying visas for General Assembly visits”. However, said Dr Edwards, there is little about this administration and its mix of insecurity and unwarranted bluster that should surprise anyone. “I would think that this could lead to similar attempts to deny visas for General Assembly visits” He pointed out that the Venezuelan President Nicolas Maduro could be a natural target here as an extension of diplomatic efforts to isolate him. It would be ironic that a President that frames his accomplishment as a reassertion of American power would be afraid of what he would say from the podium, said Dr Edwards. But the hallmark of this US Presidency has been a singular focus on controlling perceptions and information, rather than confidently relying on our diplomatic prowess to produce results. Historically, the US has grumbled about leaders coming to New York (denying Arafat was legally easier than a Head of State), but one can imagine this White House pushing the envelope here, since it’s perfect “red meat” for the President’s base, he added. The legal basis for doing this is incredibly thin, based on a false reading of Section 6 of the Headquarters Agreement, which grants leaders a right to access to the UN, and the US would surely lose in arbitration, Dr Edwards noted. Briefing reporters on March 15, US Secretary of State Mike Pompeo said since 1998, the United States has declined to join the ICC because of its broad, unaccountable prosecutorial powers and the threat it poses to American national sovereignty. “We are determined to protect the American and allied military and civilian personnel from living in fear of unjust prosecution for actions taken to defend our great nation. We feared that the court could eventually pursue politically motivated prosecutions of Americans, and our fears were warranted,” he declared. Dr Palitha Kohona, a former Chief of the UN Treaty Section, told IPS the US is not only, not a party to the Statute of the ICC, but it also inserted Article 98 of the Statute during its negotiations excluding US nationals from its jurisdiction. Subsequently, the US formally advised the UN Secretary-General that it will not ratify the Statute thereby exempting it from any obligations arising from signature. Thus, the US has emphatically signalled its position with regard to the Statute of the ICC. Therefore, denying a visa to the prosecutor only underlines its consistent opposition to the Statute, said Dr Kohona a former Permanent Representative of Sri Lanka to the United Nations. While one could raise one’s eye brows about the US action, said Dr Kohona, one is reminded again that we still live in a world where the powerful dictate the terms and modify the rules to suit their convenience, despite the dreams of those idealists who had hoped to create a world governed by a transparent and predictable framework of rules equally applicable to all. “Unfortunately, the rules, especially those relating to human rights and humanitarian affairs, tend to be applied with vigour only to the weak and the meek and not to the powerful. This is the reality of the world that we inhabit,” he noted. 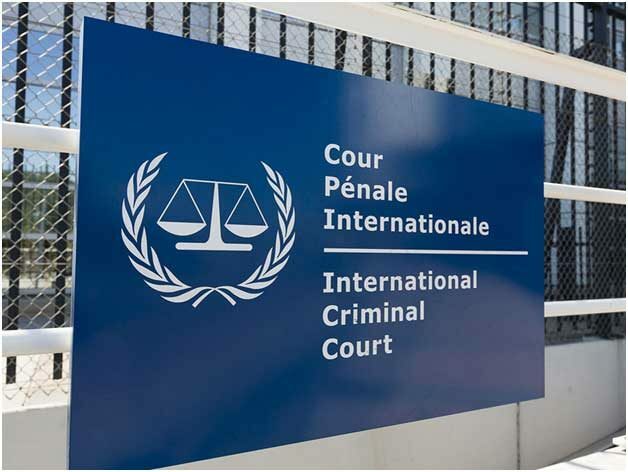 Dr Edwards of Seton Hall University said: “As for the ICC, Bensouda is caught between a need to investigate non-African cases to signal her independence, but picking the biggest fight imaginable in the process”. This does fit a general US pattern of using ICC as a tool against other countries while exempting itself from investigation in the process, so in one sense it is not surprising. “The bigger danger for the ICC is that this might set a precedent for other countries to try to tamper with its work in similar ways moving forward,” he declared. Dr Hondora of WFM-IGP called on the United Kingdom and France – members states to UN Security Council (UNSC) and the Rome Statute – to initiate a debate in the UNSC regarding the lawfulness and propriety of the US decision to revoke Bensouda’s visa in the peculiar circumstances of this case. He said WFM-IGP calls on the UN General Assembly to object to the revocation of Bensouda’s US visa as it sets a precedence that will see representatives of governments and international bodies that different US administrations object to being personally targeted with punitive personal US sanctions with the intention of prejudicing how they discharge their roles and responsibilities under key treaties. WFM-IGP also calls on the General Assembly to seek an Advisory Opinion from the International Court of Justice regarding the lawfulness – under the US-UN Hosting Agreement – of the US decision revoking Bensouda’s visa to the US in retaliation to a decision taken by the Office of the Prosecutor to investigate allegations of war crimes and crimes against humanity committed in Afghanistan.